As expected, the Apple keynote event in California was star-studded and saw some big announcements. Not only will Apple launch a new TV streaming platform, it will also create ‘a new kind of credit card’, ‘an immersive magazine’ and news reading experience’, and a gaming portal. Yes, it was Apple TV+, Apple Card, Apple News+ and Apple Arcade that were the big highlights this year. So, we guess the big question is… where do we start? Well, for a start the stage at Apple HQ was full of stars. Oprah Winfrey, Steven Spielberg and Jennifer Aniston all appeared, revealing their involvement in the latest TV project. Apple Chief Executive Tim Cook – not to be confused as ‘Tim Apple’ – was also in fine form. In what the BBC call “a change of direction” for Apple, the main announcements were about the new services, not new devices. On to the products then, and Apple TV+ is surely one of the most stand-out announcements. It was perhaps inevitable that Apple would make a move in the TV streaming market. This will no doubt make the likes of Netflix and Amazon sit up and take note. The Apple TV+ app was introduced by Steven Spielberg, no less. He will be creating some material for the new platform which shall launch in the autumn. Other famous faces involved include Reese Witherspoon, Steve Carell, J.J Abrams and even Big Bird from Sesame Street. Apple say it will become “the new home for the world’s most creative storytellers”. Exclusive and original programmes, films and documentaries have been promised. Eddy Cue, Apple’s senior vice president of Internet Software and Services, said he was “thrilled” to give viewers a sneak peek. “We’re honoured that the absolute best line-up of storytellers in the world – both in front and behind the camera – are coming to Apple TV+,” he said. The platform will include shows from existing services like Hulu and HBO. It’s also reported that the app will be made available on rival devices for the first time. Some examples include Samsung, Sony, LG and Vizio smart TVs, as well as Amazon’s Firestick and Roku. To find out more about Apple TV+ click here. This news service will include more than 300 magazine titles. The likes of Vogue, Marie Claire, National Geographic, Rolling Stone, Esquire and New Yorker are all involved. News giants like the Wall Street Journal and the LA Times are also part of the platform. Available in the US and Canada, this service hopes to build upon the success of Apple News. The free experience is currently the No. 1 news app. Lauren Kern, editor-in-chief of Apple News, says Apple is committed to supporting quality journalism. She believes Apple News+ will help celebrate the “great work being done” by news and magazine outlets. Apple say it will cost $9.99 (£7.50) a month and will come to Europe later this year. It will also not track what users read and won’t allow advertisers to do so either. Apple News+ will only be available on Apple devices. To find out more about Apple News+ click here. This will be Apple’s new games platform, offering more that 100 exclusive games. These will be available from the app store and will all be playable offline. As the BBC report, this differs from Stadia, Google’s recently announced streaming platform. Like Apple TV+ this will be rolled out in the autumn. It will be available across 150 countries, and we are currently still waiting to hear about the subscription prices. Indie Developers, Major Studios and top creators Ken Wong, Will Wright and Hironobu Sakaguchi are all involved. Phil Schiller is Apple’s senior vice president of Worldwide Marketing. He said: “The App Store is the world’s biggest and most successful game platform. “Now we are going to take games even further with Apple Arcade, the first game subscription service for mobile, desktop and the living room. “We are working with some of the most innovative game developers in the world to create over 100 new and exclusive games to play across iPhone, iPad, Mac and Apple TV. To find out more about Apple Arcade click here. Last but not least is Apple Card! This credit card “with a difference” will launch in the US this summer. An iPhone and physical version of the card will be available, with a cashback incentive on each purchase. Apple Card has been created with the help of MasterCard and Goldman Sachs. The physical card is made out of titanium. Overall, it’s designed to help customers lead a healthier financial life. 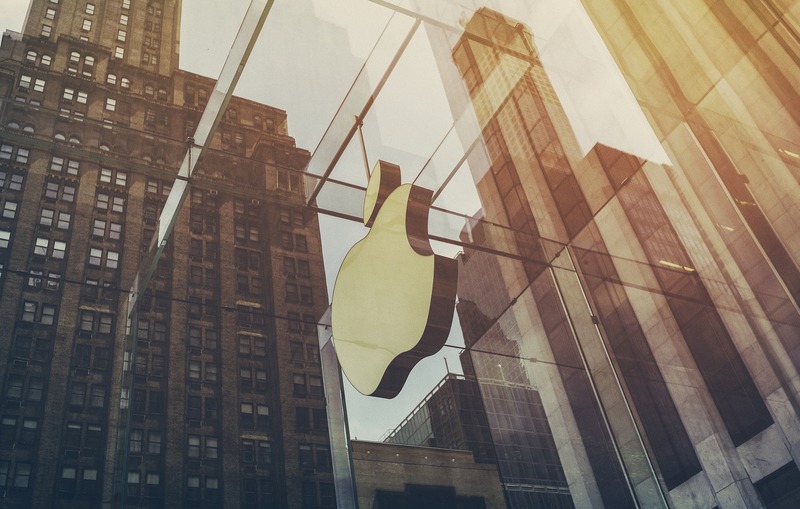 Apple say it is build on “simplicity, transparency and privacy”. To find out more about Apple Card click here. So, that’s a lot to take in – right? What do you make of the big announcements? Be sure to let us know via social media. Since the March 25 announcements conversation and further speculation has been rife. All at FileHippo are excited to see how these new services pan out. Be sure to follow our FileHippo News blog to keep tabs on their further development!